A decade after the Wesleyan University administration briefly banned the holiday, Zonker Harris Day remains alive and well. With this year’s Zonker Harris Day around the corner, a comprehensive history of the acclaimed holiday’s legacy is only appropriate. 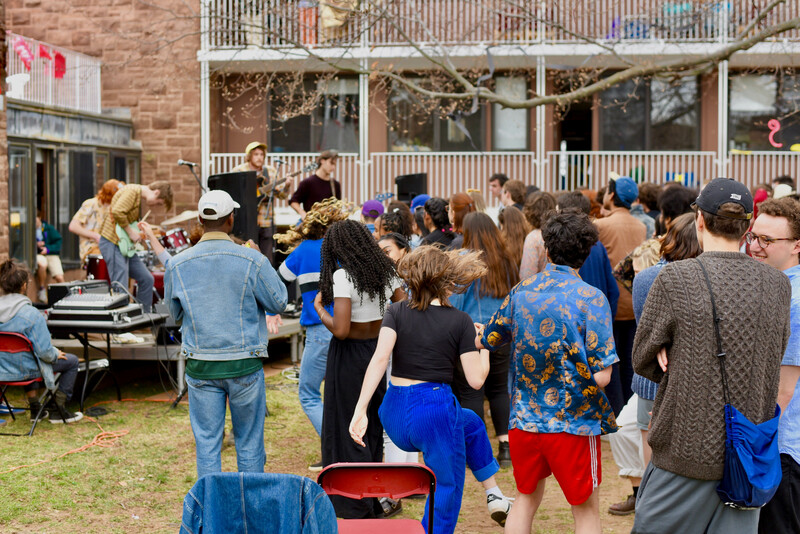 Originating in the late ’70s, Duke Day, held in the fall, and Zonker Harris Day, celebrated in the spring, are revered as prominent staples of campus culture and relics of a counterculture identity that the student body still holds onto. However, while on the one hand the day is considered a laid-back celebration of art and music, the event has also faced a tumultuous history. 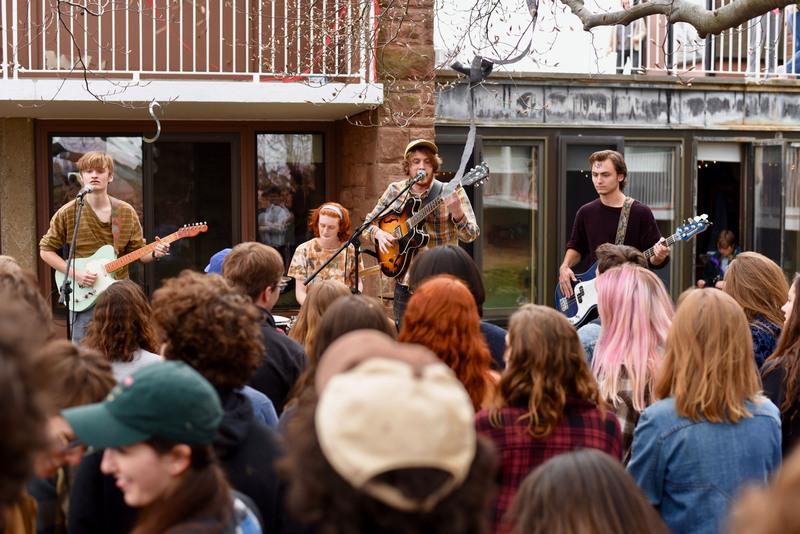 For decades, Zonker Harris Day was a University-funded event, held in April typically during the weekend of WesFest, on display for all visiting prospective students. The festival was named after the cartoon character Zonker Harris, invented by Gary Trudeau as a part of his Pulitzer Prize-winning comic strip, Doonesbury. West College (WestCo), the dorm that sponsors the festival, specifically chose the character Zonker Harris because of his renowned ‘hippie-druggie’ persona, which represented the ethos of Wesleyan in the 1970s. Filled with tie-dye shirts; heads of long flowing hair; and a perpetual haze of smoke, Zonker Harris Day originated as a cultural microcosm at Wesleyan for the Summer of Love, Woodstock/Monterey music festivals, exporting the feeling of the hippie ’60s era on campus. Throughout the ’80s and ’90s, Zonker Harris Day embodied the campus’s nostalgic yet ironic slogan “Keeping Wes Weird” and served as an opportunity for the student body to reinforce its reputation, commemorating its ’60s cultural height. With headliners often influenced by psychedelic rock, the lineups also captured the musical essence of the counterculture period. However, as times have changed, so too has Wesleyan. The first indication of the University administration’s larger efforts to rebrand the University, pushing the college away from the “Keep Wes Weird” motto, came with Roth’s mandate to change the names of Duke Day and Zonker Harris Day. Following this pronouncement, the administration rescinded funding for Zonker Harris, pending a new title. However, if this year’s announcements regarding the upcoming festival are any indication, the story didn’t end there. While in 2008, “Ze-Who-Must-Not-Be-Named Day” was held on April 19, the festival’s name would be met with student resistance in subsequent years to combat what students perceived as the administration’s censorship and overreach of power. In 2010, WestCo President Jason Katzenstein ’13 submitted a letter to Gary Trudeau, the Doonesbury creator, on behalf of all the WestCo presidents and community that explained the situation. Shortly after, Trudeau sent an email back that included the week’s comic strips, which heavily satirized Roth and the University’s handling of the situation. In the wake of Trudeau’s strip, a collaboration between the WestCo community and the administration resulted in the reinstatement of the original name in 2011. Zonker Harris Day became Zonker Harris Day once more. Now seven years later, the festival will continue the rich cultural tradition under the reinstated Zonker Harris title. This year’s theme is vines. Off-campus bands Jean Deaux and BABY! 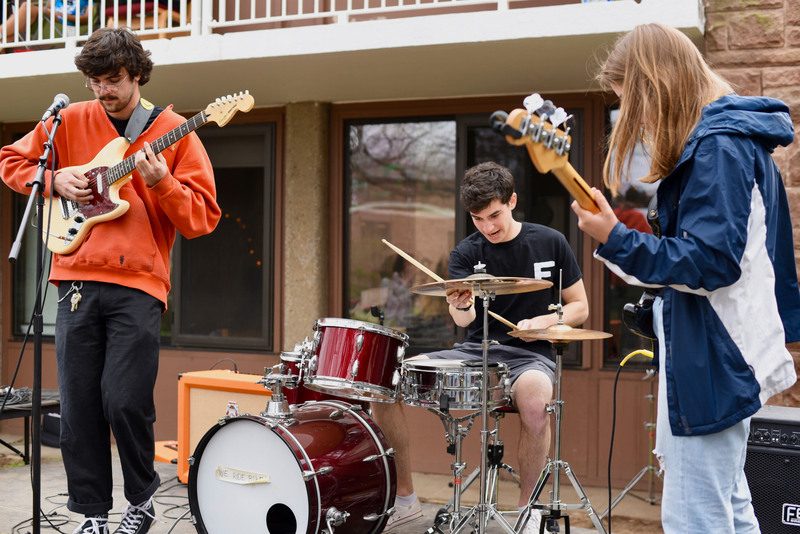 will perform, in addition to on-campus bands and acts Flaccid Ashbacks, Good Morning Connecticut, Saint Something, The Good Lonely, Barbara Shop, DJ Timmy Turnhim, Cobey + Dylan rapping, Olivia + Nola Dj Set, JR + Cormac comedy act, Badabing, Franny + Keizo, Nate Ko, Bossy, GOO, Laz, and Joy.